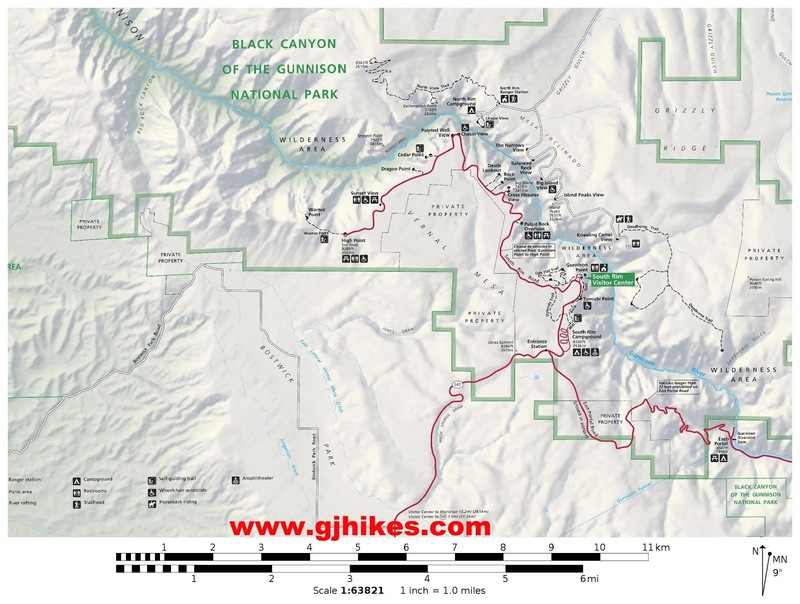 The Pulpit Rock trail is located within the South Rim section of the Black Canyon of the Gunnison National Park. The trail is one of a half dozen or so short trails along the Rim Drive Road that lead to overlooks on the rim above the canyon. Each overlook trail is a little different from the others with new and unique views of the canyon. 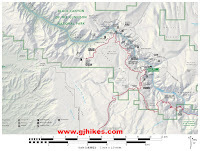 By the time you hike them all you will feel like you have put in a good and rewarding day of hiking. Pulpit Rock is a very short hike but one that you won't want to miss. The location received its name from a preacher name Warner that commented that the rock looked like the pulpit in his church. The trail crosses a narrow ridge to get out onto the rock. The views of the canyon walls and the Gunnison River are incredible. Pulpit Rock itself is well sheltered with a parapet wall that makes use of the rocks themselves for a safety barrier between visitors and the edge of the cliff. No need for a fence here. There is a second overlook off to the side that offers different views of the upper canyon area. This post is nice and short. Just like the trail. They went through the trouble of building the trail and restrooms though because of the great views that Pulpit Rock offers. If you would like to see it for yourself then all you have to do is 'Take a hike'.